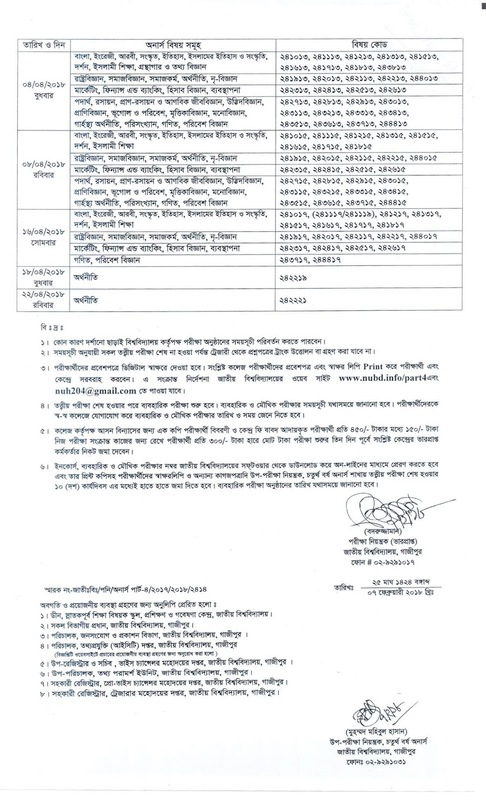 NU - National University Honors 4th Year (Regular) Exam Routine has been published. 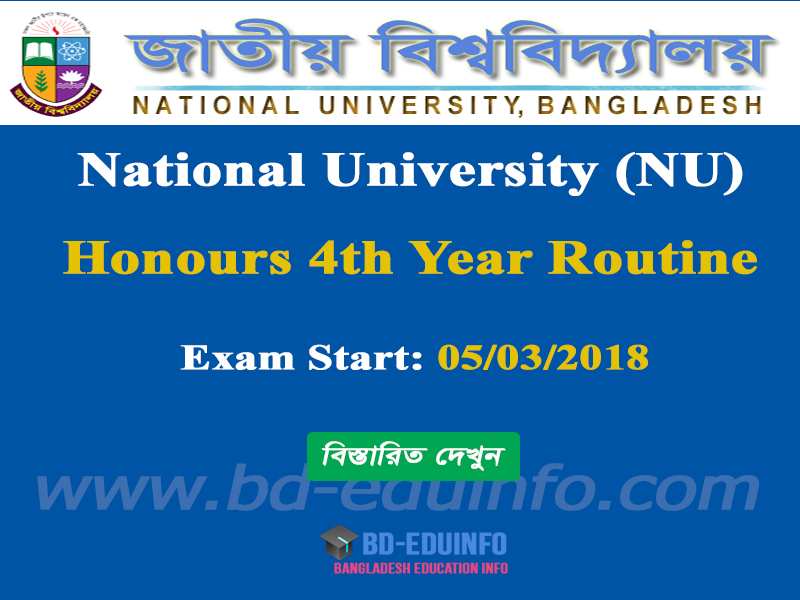 National University (NU) 2017 Honors (Regular) 4th year routine has been published on http://www.nu.edu.bd/. Examination 2013-2014 Season is going to start 05/03/2018 and continue up to 22/04/2018. The Exam routine of all National University (NU) under college together. Tags: www.nu.edu.bd, www nu edu bd, National University (NU) 2017 Honors (Regular) 4th year routine, National University (NU) 2017 Honors (Regular) 4th year Result, National University (NU) 2017 Honors (Regular) 4th year Exam Date. 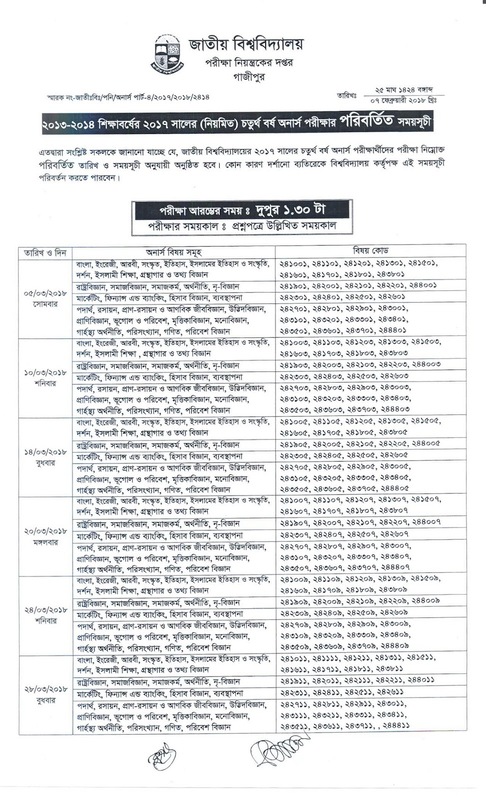 Bangladesh Education Portal: NU - National University Honors 4th Year (Regular) Exam Routine has been published. 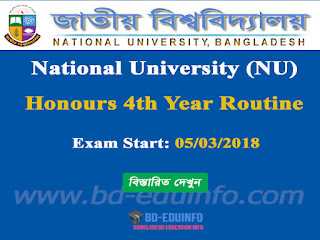 www.nu.edu.bd, www nu edu bd, National University (NU) 2017 Honors (Regular) 4th year routine, National University (NU) 2017 Honors (Regular) 4th year Result, National University (NU) 2017 Honors (Regular) 4th year Exam Date.